This decadent dessert looks over the top, but is made in minutes with just 4 ingredients! Make a couple for a quick treat any night of the week, or set up a crepe bar for a party. 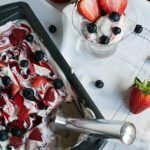 This week I’m all about strawberry desserts! Today’s recipe is a 10-minute dessert that looks like it took much longer to prepare. Pre-made crepes and Kozy Shack Chocolate Pudding make this sweet treat a snap. Whether you are entertaining guests or just need an easy dessert to satisfy your sweet tooth, this recipe is just the thing. 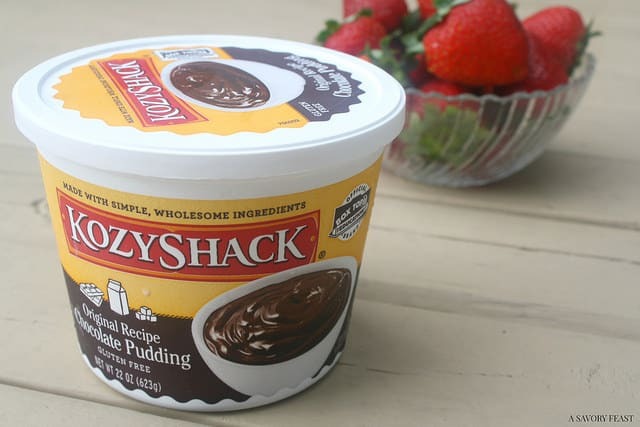 The first thing you’ll need is a container of Kozy Shack Chocolate Pudding. This is a great item to keep in the fridge! 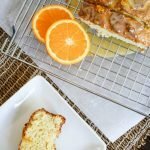 It is a great snack by itself, or can easily be dressed up to create all sorts of yummy desserts. When I started thinking about what I would make with my pudding, I was originally planning to make mini trifles. But when I was at the store, I came across a package of pre-made crepes. I had a feeling they would go great with chocolate pudding and strawberries! This dessert is a lot of fun to make! As I suggested before, you could set up a make-you-own crepe bar for a party. You could also serve other toppings such as other fruits, sprinkles, chocolate chips, etc. You’ll definitely want to keep the ingredients in the house so you can whip up some crepes for a last minute dessert anytime. Did you know that tomorrow (June 26) is National Chocolate Pudding Day? That’s my kind of holiday! 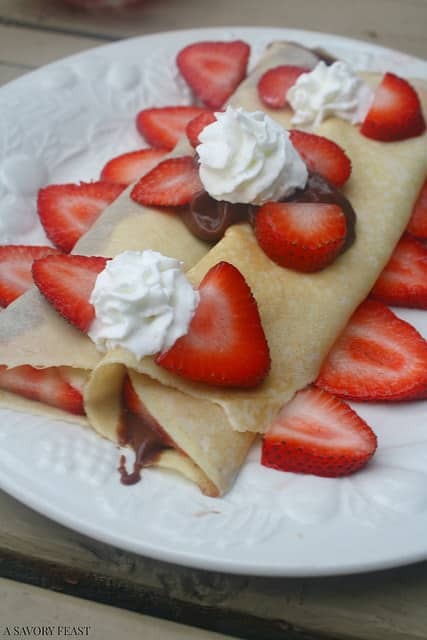 These Chocolate Strawberry Crepes are a great way to celebrate. 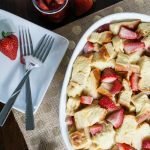 Join Kozy Shack in celebrating the Summer of Pudding! 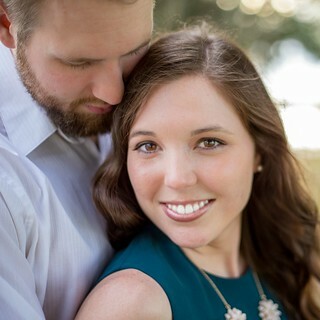 Follow them on Facebook or Instagram. They’ll be hosting giveaways all summer long, so you’ll want to stay tuned. Lay one crepe out on a flat surface. Spoon about 1/4 cup of pudding in a straight line down the middle of the crepe. Place sliced strawberries in a line along the chocolate pudding. 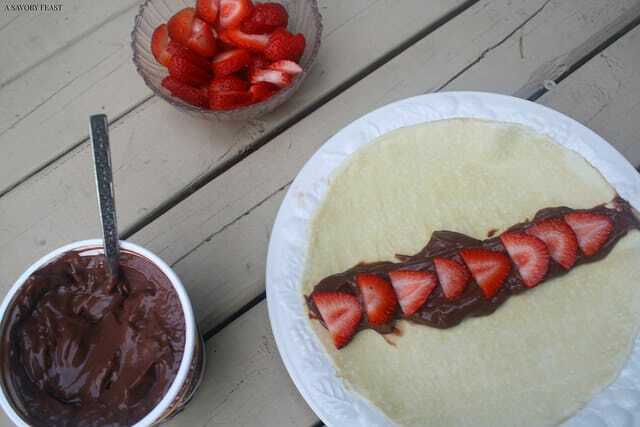 Roll up the crepe. Repeat for all of the crepes. 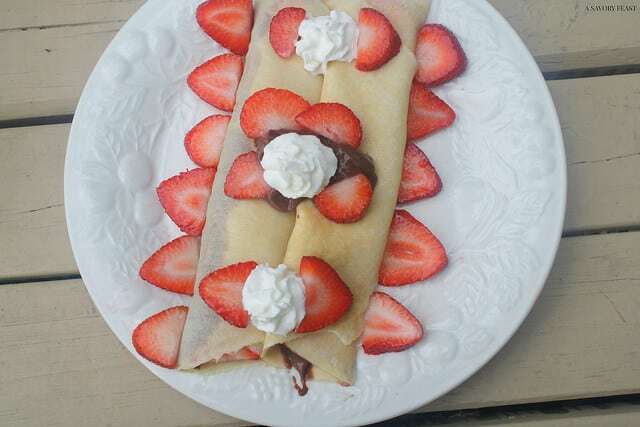 Place two crepes on a plate and top with extra pudding, whipped cream and more strawberries. Repeat for the remaining crepes. How will you celebrate National Chocolate Pudding Day? Every time I see crepes it reminds me of Paris. I must have eaten one every single day but mine always involved chocolate. This definitely looks like a healthier option! These are still pretty sweet! You should try them, they are super simple to make. Ohhh stop! I need this RIGHT NOW. You always have the most creative recipes! I was so happy with how pretty this one turned out! It was a snap to make, it almost felt like cheating! My store has a display in the fruit section that has strawberries, blueberries and raspberries along with some shortcake and these crepes. If your store doesn’t have that, check the frozen section. I’ve never made crepes myself, either. It seems really time-consuming! Oh my these look amazing!!! I am horrible at making things others do easily, like pancakes and crepes and good, white rice! 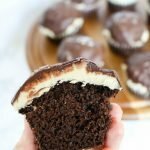 It’s so weird, but these looks too good not to try! 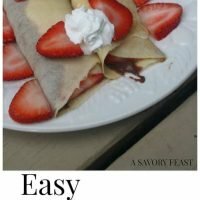 These pre-made crepes make it so easy! It saves a lot of time, too. Jenna! These looks amazing! My mouth is seriously watering. In France last summer we had nutella and strawberry crepes a few times. I am going to try your recipe! Oooh, Nutella would be a fun idea for these! You should definitely try it with chocolate pudding, too. It was so good!